Kirinyaga woman representative Purity Ngirici has set aside millions to floor Governor Anne Waiguru in 2022 elections. Contending Waiguru Waiguru benefited from her networks to bag the plum governorship slot, Ngirici, who joined hands with Waiguru to run a successful campaign in 2017, is said to be consolidating a warchest like no other to scupper Waiguru’s hold on Kirinyaga politics. Kirinyanga Women Rep , Purity Ngirici. Then considered a novice in the county, Waiguru probably had no clear intentions of running for political office until she was hounded out of the powerful Devolution and Planning docket as cabinet secretary in the wake of the National Youth Service billions scandal. It was then that she reportedly held talks with businessman Andrew Ngirici – the Kirinyaga county MP’s husband – and convinced him to prevail upon his wife to back her for the top slot in the August 8 2017 election. Waiguru then an influential personality in the corridors of power assured the Ngiricis that she would use her networks to ensure Purity landed the Jubilee ticket in the woman rep race, at the expense of then incumbent Winnie Karimi. Taking the political scene by storm, Ngirici’s juggernaut put to good use powerful campaign machinery involving the use of top-of-the range vehicles and two choppers besides donating generously in high profile fundraisers. 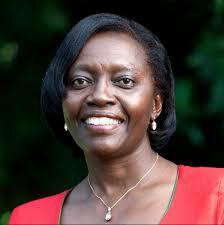 Her opulent display forced Wanjiku Gatimu who had emerged second to Winnie Njuguna in 2013, back to the drawing board. Also caught pants down were Anne Wangui, then county assembly speaker and Catherine Maribe. But after their joint 2017 victory, Waiguru and Ngirici are now reading from two different scripts. Said to be accessible and easy going, the woman rep is credited with giving direction to MCAs she is known to control in entirety. 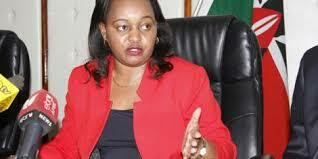 Ngirici has initiated a number of projects at the grassroots leaving Waiguru in her wake. Of late the woman rep is referred to as “governor in waiting”. At one point, Waiguru called for the arrest of the Ngiricis after she was heckled at a function presided over by William Ruto in Kerugoya. Addressing journalists at Sagana Blue Hills Hotel, a shocked Waiguru claimed Ngirici had bribed police to arrest her supporters but let free those of the county MP. Inevitably sucked into the two powerful women’s turf wars, county assembly majority leader James Kamau is said to be leaning towards Waiguru. Recently, Ngirici stormed a function at Kerugoya Catholic Church where Devolution chief administrative secretary Rachel Shebesh was to doll out Uwezo Fund cheques to 100 women groups. 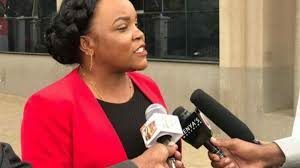 Sources say the fiery women rep has been praying an election petition filed by Martha Karua whom Waiguru defeated in 2017 succeeds so she can face Waiguru in the eventual by-election. It is against this background that Ngirici’s presence is being felt on the ground, with an atmosphere of unease surrounding Governor Waiguru. To Ngirici, even if the petition turns out to be unsuccessful, 2022 will be Waiguru’s moment of reckoning. Her camp claims the governor, aware she cannot defeat Ngirici in 2022, is now busy lobbying and scheming to be DP Ruto’s running mate in 2022.